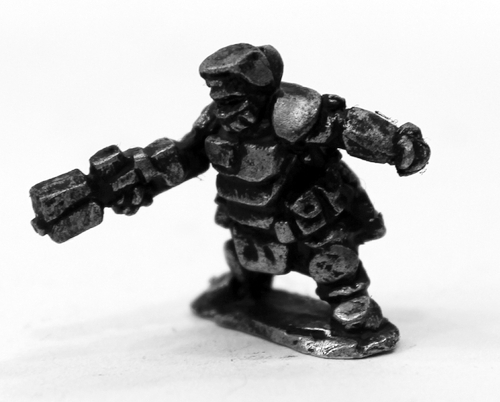 15mm.co.uk: The Prang by Eli Arndt moving to The Ion Age soon! The Prang by Eli Arndt moving to The Ion Age soon! This is a joint blog post featuring on 15mm.co.uk and on The Ion Age both of which are part of Alternative Armies. Its a happy article concerning the long term future of one of the most adored parts of the popular SHM Range. In the SHM range new and aspiring designers get the chance to have 15mm scale miniatures put into production by us for free at 15mm.co.uk. Gavin Syme (GBS) does this to give a 'leg up' to talent in a world where often its almost impossible to get ahead and its helped more than a dozen sculptors both traditional and digital since its inception. While everyone has their favourites from the eighty odd codes in the SHM range there is one part of the range that has out performed all others...The Prang by Eli Arndt. By arrangement between Gavin Syme (GBS), Sam Croes and Eli Arndt the Prang will leave the SHM Range and make the move across to The Ion Age in November 2015. 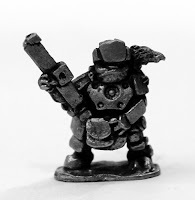 What this means is that soon you will no longer be able to purchase Prang on 15mm.co.uk's pages and instead, under new codes but similar prices, the miniatures will arrive on The Ion Age pages. As part of the space opera awesome of The Ion Age the Prang will expand into an entire army, an entire range with a background in the narrative of the Prydian Precinct. While the current poses and codes of Prang will remain on the SHM Range page at 15mm.co.uk until the 9th November 2015 at which time they will be removed forever...argh! But do not fret! It will not be long after that before they appear once more. They will not stand still however as new poses have already been sculpted by Eli Arndt and here are a couple of inked up example master castings we are currently working on. During next month there will be more announcement and releases for The Prang but in the meantime stock up if you wish and if you have questions please do ask on sales@15mm.co.uk or info@theionage.com. 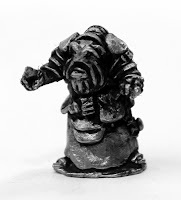 Go HERE for the Prang in the SHM Range on 15mm.co.uk until 9th November 2015. Welcome to The Ion Age Eli! Its going to be a lot of fun! PS, what is the second new sculpt here meant to be? Medic? Priest? Thanks Allison. Your name was on my mental list of the top fifty chaps who would get a kick from this news. There are a number of new sculpts. The three shown here are an officer at the top, the Sherag (advisor) in the middle and a Trooper at the bottom. Mr. M. I will probably use him as an infiltrator spy/assassin disguised as a beggar. That's great news, the Prang where one of the first sets I had to have from the range !! I love the advisor sculpt too, nice to see a non-combative Prang. Thanks for your kind words. There will be a lot of Prang and not all of them military. Thanks all for the amazingly kind words. The Prang are fun to work with and we have plans for expanding them into something that will truly stand on its own. The Sherag is just a glimpse of what the Prang could become. Well deserved Eli and the emails I have gotten directly and the many, many thousands of views across social media prove that people really want Prang. Lets see what we can make of them! An vehicles in pipeline or are they such bad drivers, that they are likely to have a prang on the battlefield? Nice, figures, I must get around to doing the set of prang I got at Salute. All will become clear as we proceed. No crowd funding and they will expand and stand on their own merit as all things in the end must. As it is you win the prize for the first use of name in a joke! I would think there will be vehicles at least a battlesuit, a bike, an APC and so on. Eli will surprise us all! War in a Box Blog gets a 15mm.co.uk fix! Octopod Racer and Platoon released and offer!